4th ed. 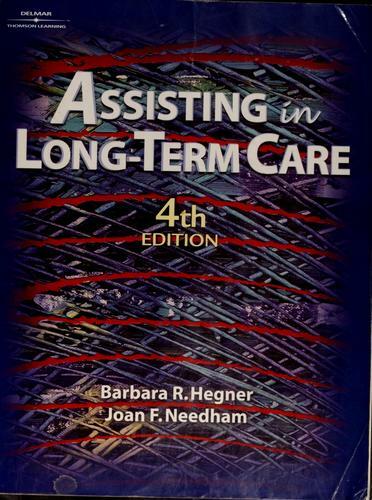 of "Assisting in long term care". Publisher: Includes index.Previous ed. : published as by Barbara Hegner, Esther Caldwell and Joan Fritsch Needham. 1998..
Includes index.Previous ed. : published as by Barbara Hegner, Esther Caldwell and Joan Fritsch Needham. 1998. The FB Reader service executes searching for the e-book "Assisting in long term care" to provide you with the opportunity to download it for free. Click the appropriate button to start searching the book to get it in the format you are interested in.